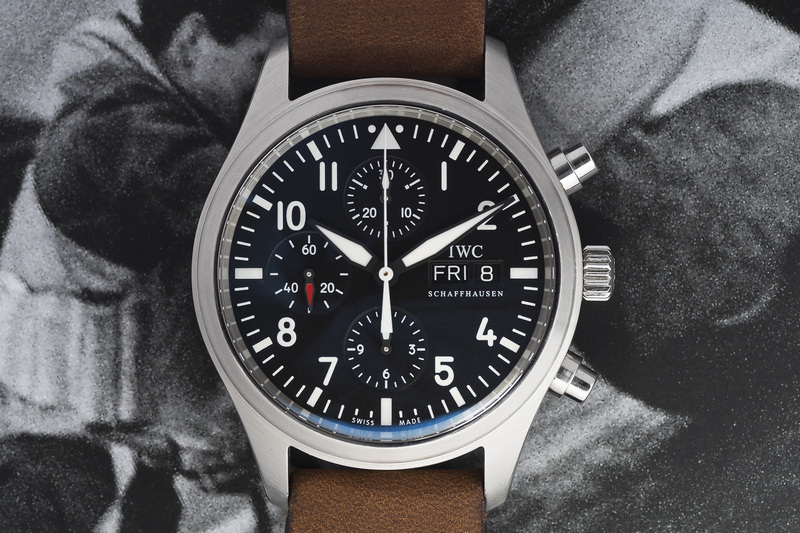 The IWC Pilots watch seen here was first unveiled to the public back in 2006 and was available up until 2012. 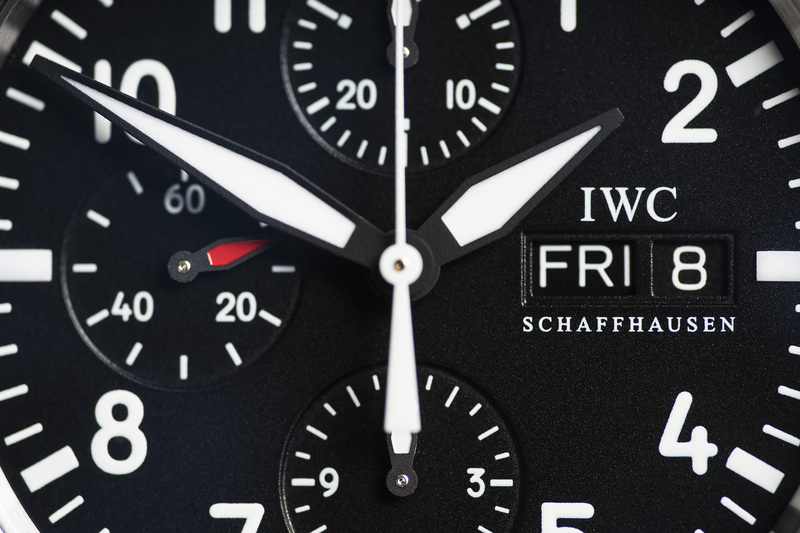 Its in our humble opinion one of the nicest IWC ‘Fliegeruhr’ watches made. The 42mm case and clearly organized dial with excellent legibility, combined with a leather strap have a great vintage vibe to it. 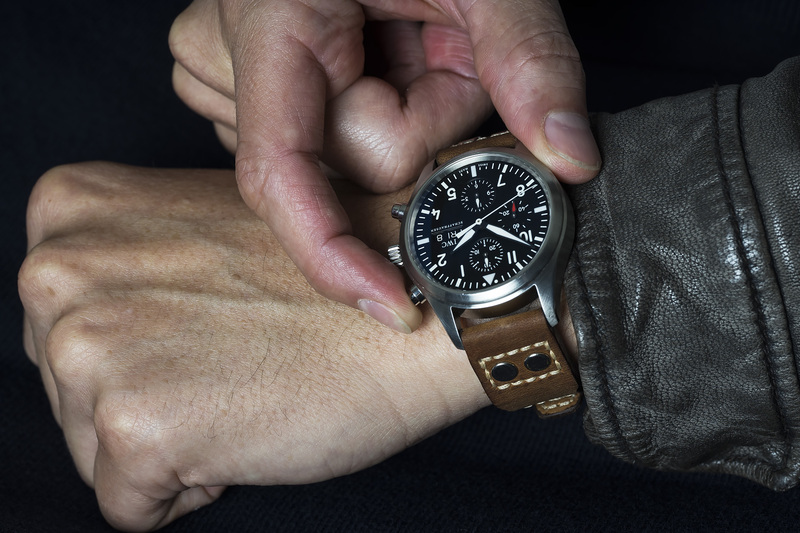 The dial of this Pilot’s Watch Chronograph leans heavily on the classical design of the Big Pilot’s Watch, as can be seen from the eye-catching chapter ring and the propeller-like hands. The 79320-calibre chronograph movement functions as a stopwatch with aggregate timing up to 12 hours and shows the day and the date at the three o’clock position. 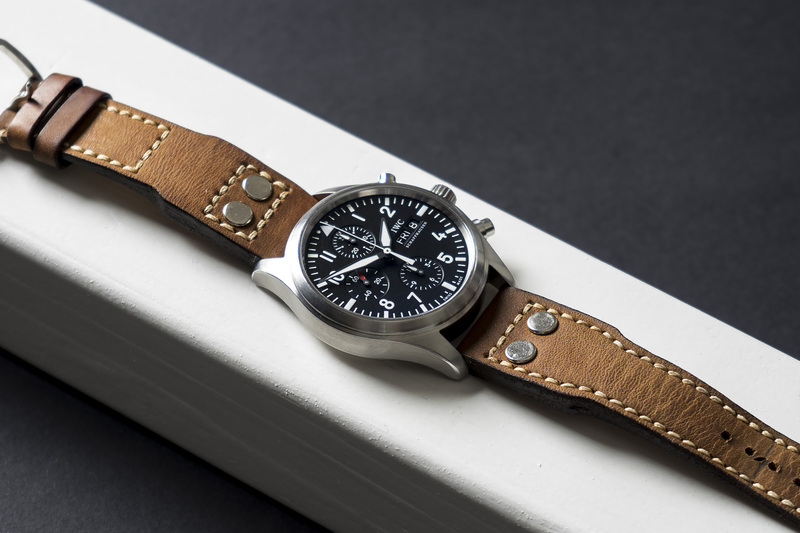 The brushed stainless steel case and the instrument-like dial makes the watch really look like something out of an airplane, not to surprising when you consider that the design of the dial was inspired by a a Junkers JU-52 cockpit. 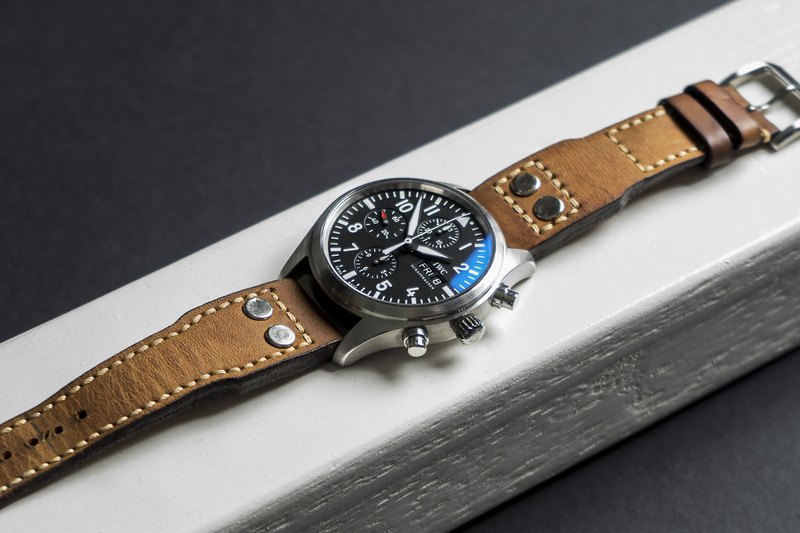 This Pilots watch came to us directly from the first owner and features literally everything it was bought with back in 2004 including three extra handmade straps. The watch is in an excellent condition with a strong case that doesn’t show any damages, dents or scratches. 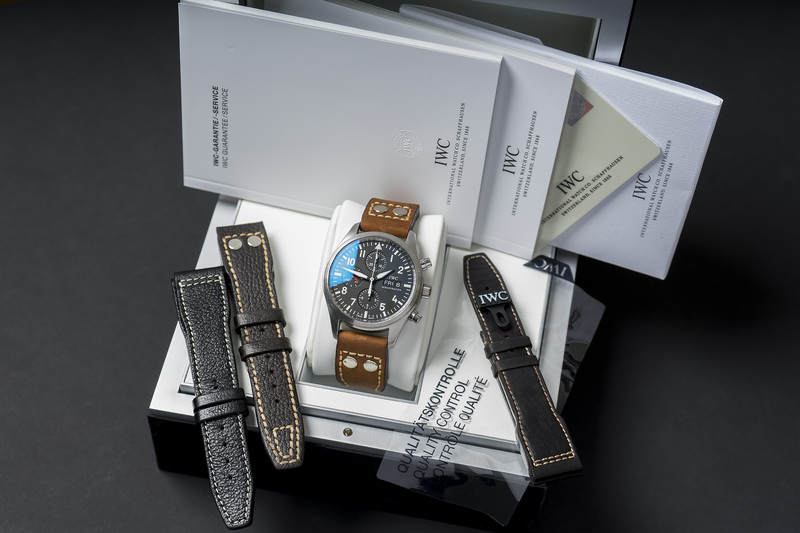 The watch and its movement have been fully serviced and will be available with a twelve month warranty.